Did you mean: powerman and iron fist 1 2011 (20 items)? 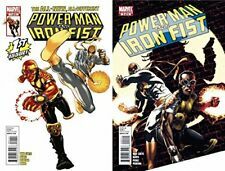 POWER MAN AND IRON FIST #1 ALL-NEW, ALL DIFFERENT MARVEL 2011 NICE!! !